If anything in life is certain, it can be guaranteed that a bank holiday weekend will be met with at least a moderate to generous amount of precipitation. 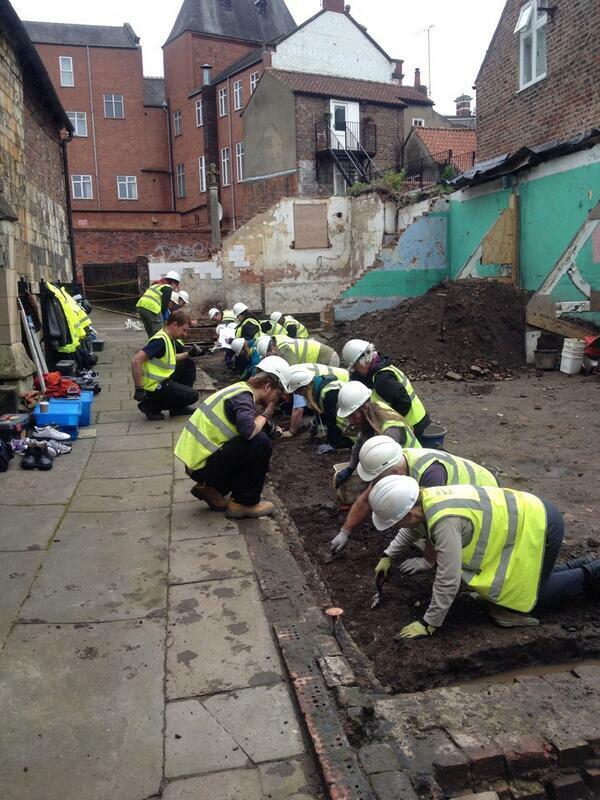 Our first training weekend at our new All Saints, North Street site was certainly no exception. The Archaeology Live! weekend courses have become increasingly popular in recent years, the May weekend having sold out some weeks ago. Fittingly, it was to a rather waterlogged site that our eighteen new trainees arrived on a drizzly Saturday morning. However, it became quickly apparent that this group would not be deterred by the prospect of getting a little muddy. 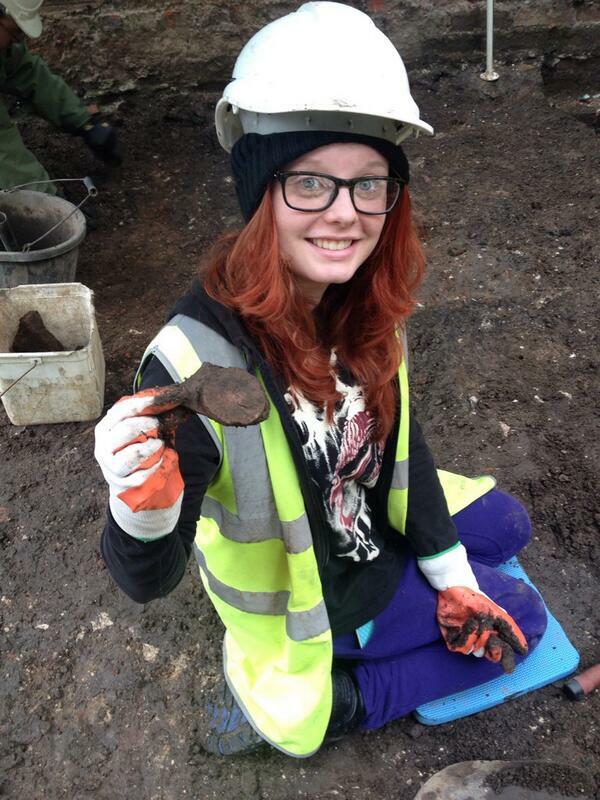 The team quickly got to work cleaning up the site and it was great to see a mix of returning Archaeology Live! 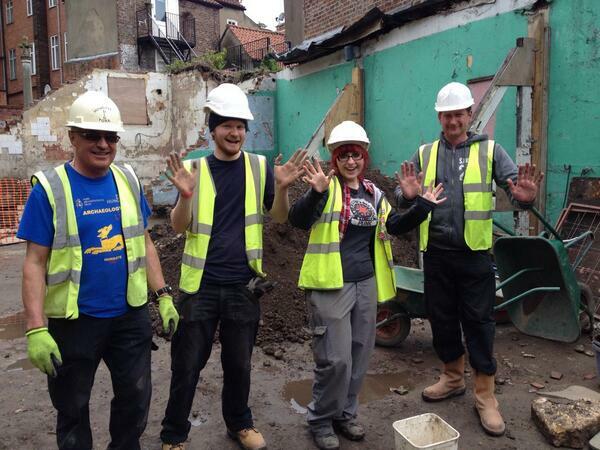 veterans and brand new archaeologists. When the day drew to a close, the team donned their glad rags and gathered at the Golden Fleece Inn for a well-earned (and generously proportioned!) evening meal. Everyone left rather full, but full of excitement for the following day’s discoveries. Lizzie showing off her rather splendid splash gazed pot base. 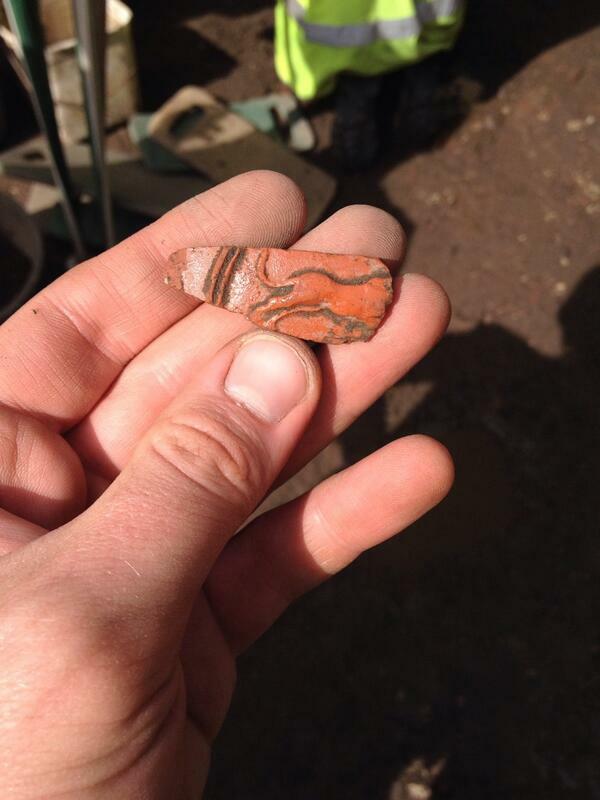 Lizzie was lucky enough to find the base of a medieval pot, alongside a rather lovely piece of Roman samian ware decorated with the image of a lion! Further finds highlights included the spout of a Victorian jug, sherds of numerous medieval vessels and several more fragments of Roman pottery. 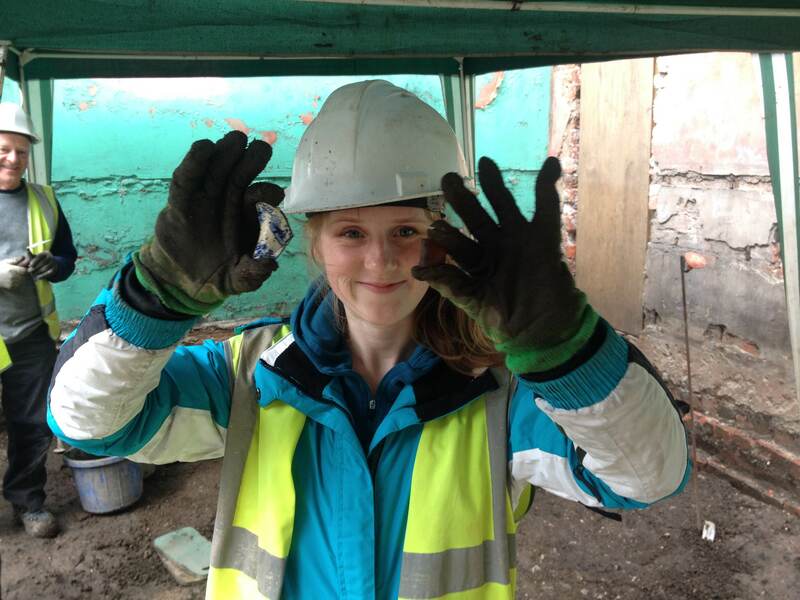 Victorian & Roman finds in the same deposit. Classic York! 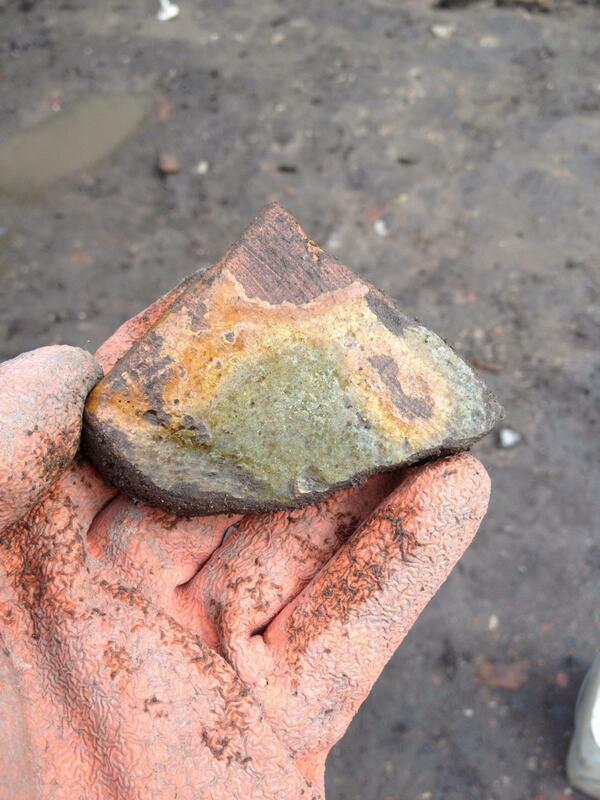 Jeremiah’s discoveries included yet more samian ware and a fragment of high status medieval tile. 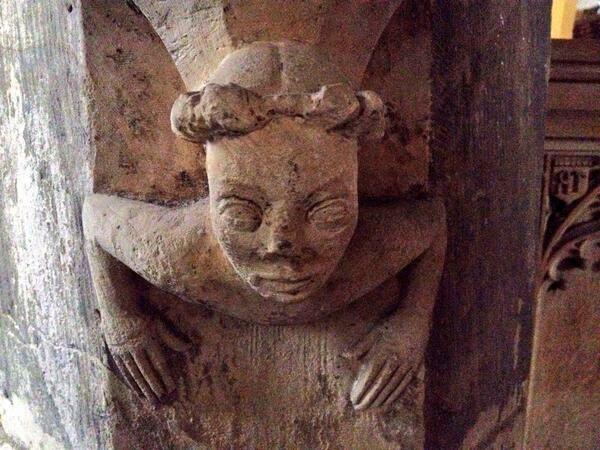 The latter may well once have been part of the fabric of the church. The team also worked on recording the upstanding remains of the Victorian mortuary chapel, producing detailed elevation drawings of the walls. To top off a busy day, the trainees were also shown the ins and outs of archaeological recording – from taking levels to filling out context cards. Despite the inclement weather, the team did some great work. New skills were learned and practised and our understanding of the site was dramatically improved as new features were exposed. The Archaeology Live! 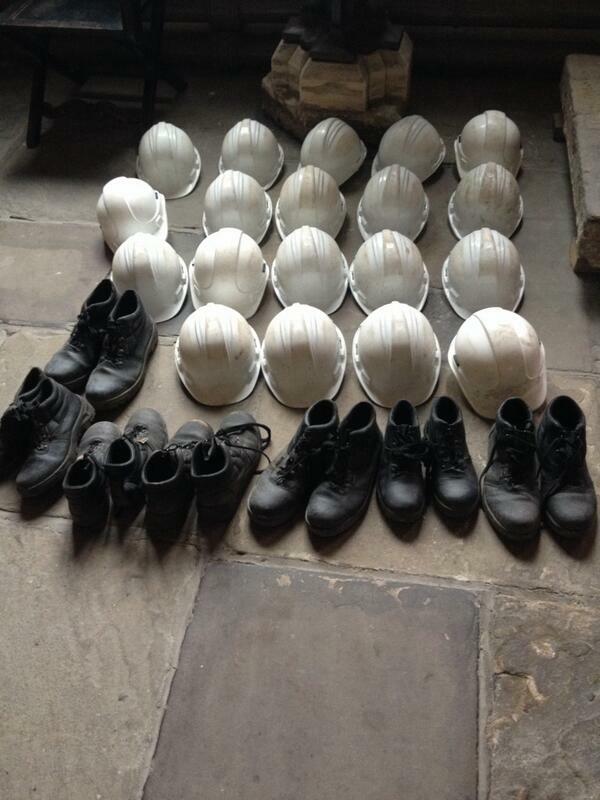 training excavations are entirely trainee funded and would not be possible without the dedication and hard work of the people who travel from far and wide to dig with us. 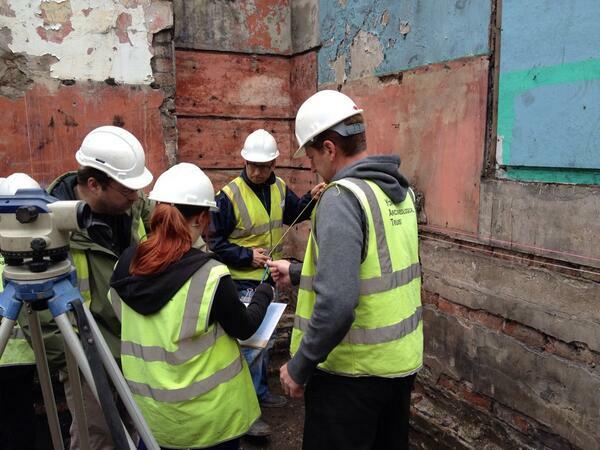 The May weekend team were no exception, turning a wet bank holiday into a real archaeological adventure! Thanks to all that attended!! Come on Dave, you can do better than that!